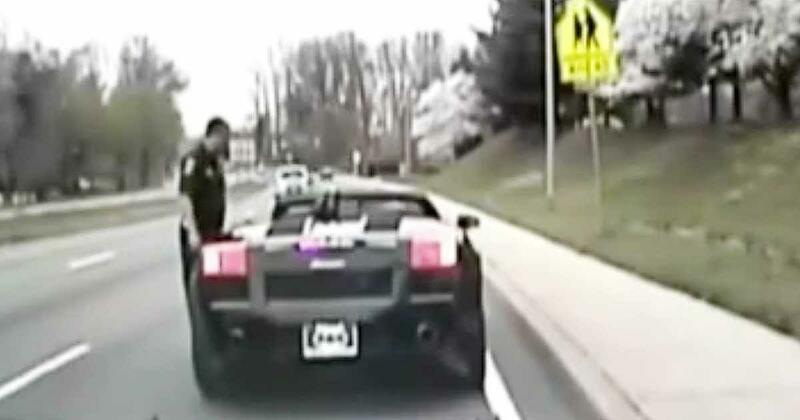 These officers were in for quite the surprise when they pulled over this black Lamborghini. Thinking it was a routine stop, the officer was shocked when he saw who was driving. It was none other than the superhero Batman! The Batman fan had been driving around in full uniform. He even put a Batman sticker on the side of his black sports car. Fortunately, the cops were great sports, and they simply asked the masked vigilante a few questions. It turns out that the man is Lenny B. Robinson, a Maryland-resident who dresses up like Batman and visits sick children in hospitals.